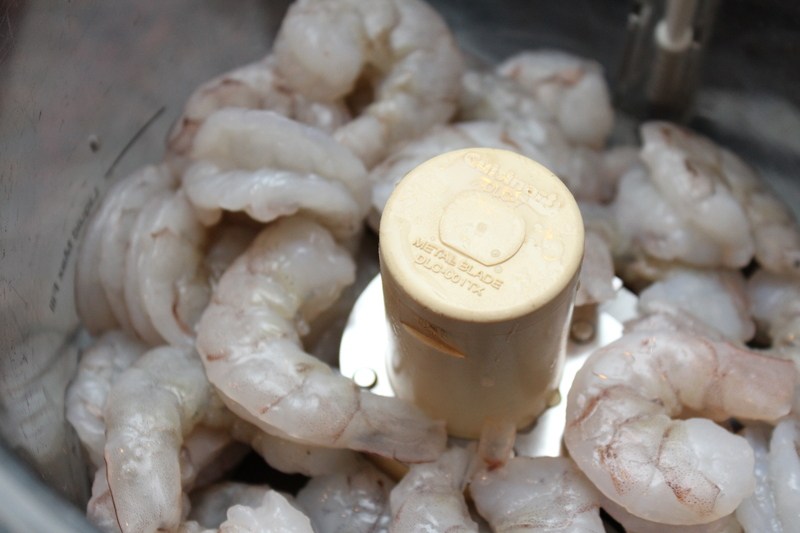 Whether I’m making a Cajun themed meal or visiting one of my favorite cities, New Orleans, I have to throw some shrimp in the mix! 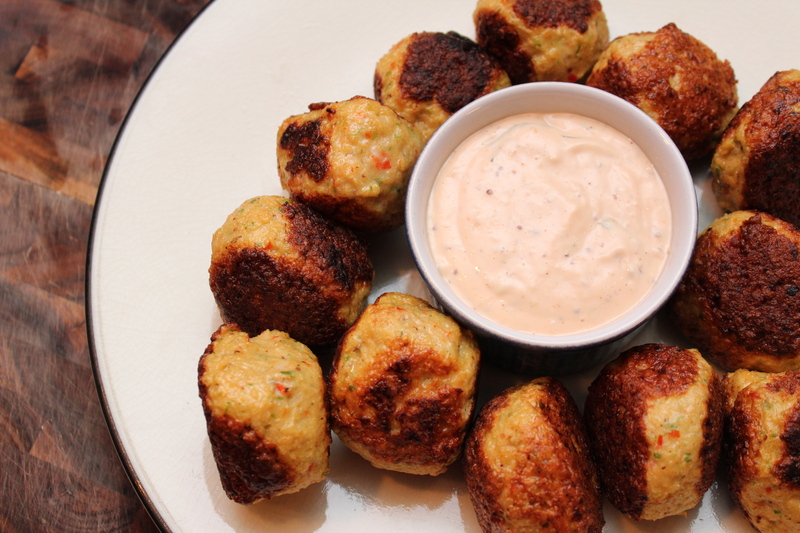 So for tonight’s American Idol snack try these tasty Cajun Shrimp Bites and enjoy all of the madness in Baton Rouge. Don’t forget to check back next week when I’ll be cooking up more Idol themed recipes for Yahoo! Music’s Lyndsey Parker and her Reality Rocks blog. **Side Note: please ignore the slightly charred hue on some of the shrimp bites. Apparently oil gets really hot when you forget about it and leave the kitchen for a minute [insert sarcasm here]! 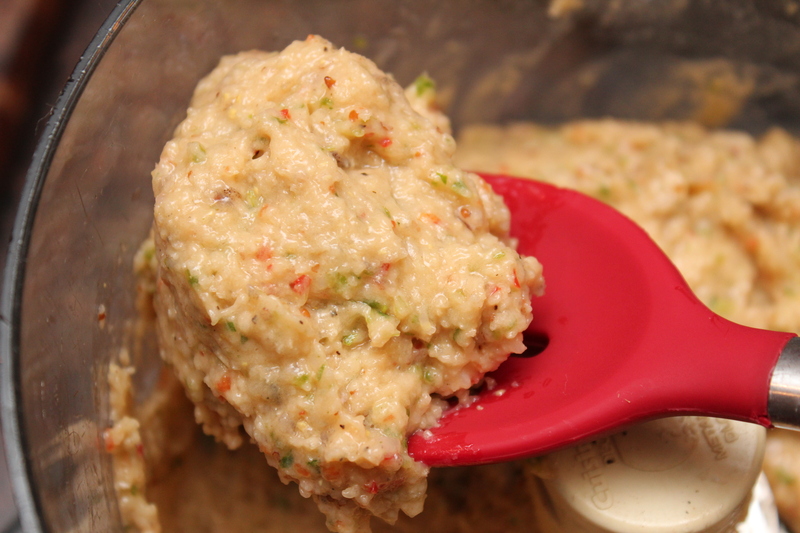 Blend the shrimp in a food processor until smooth. 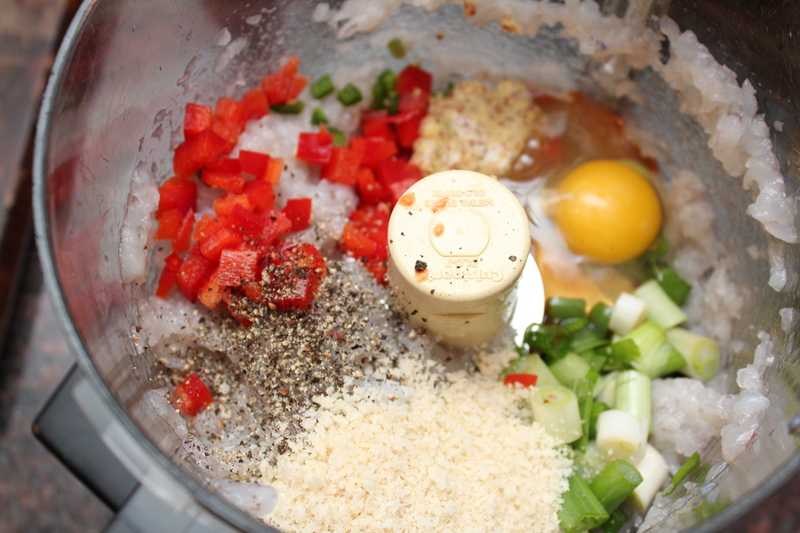 Add the red bell pepper and remaining 9 ingredients through the Panko. 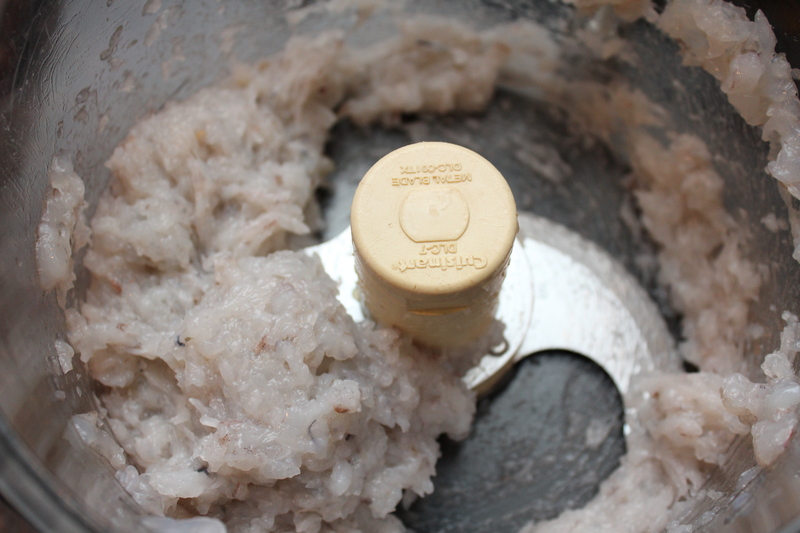 Using an ice cream scoop form 12 small balls and place on a baking sheet lined with wax paper. 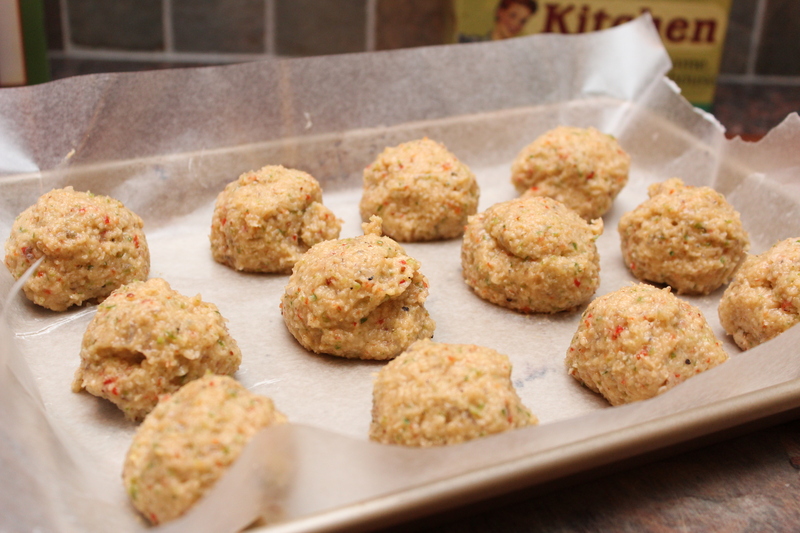 Put in the fridge until the flavors have combined, around 30-45 minutes. Heat the canola oil in a large cast iron skillet and add the shrimp bites. Sauté on each side until nice and golden brown. 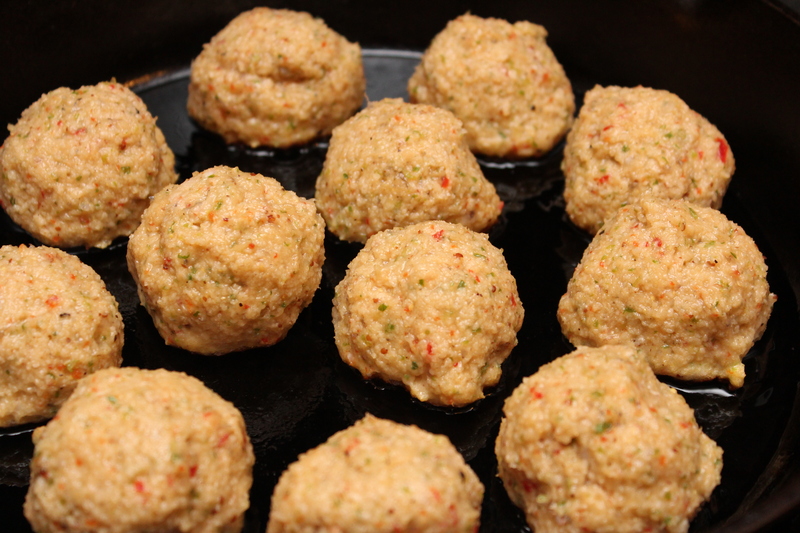 Remove and serve with a side of spicy remoulade sauce.